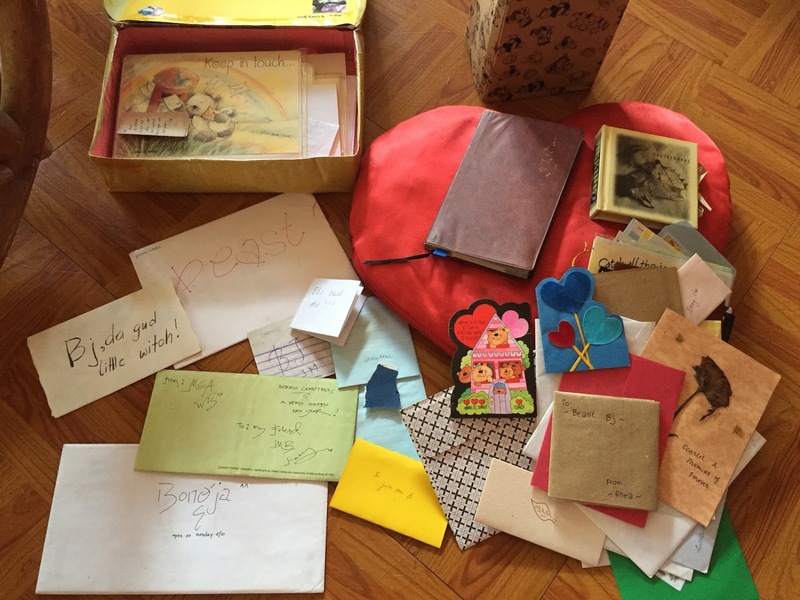 One by one I look at the envelopes and identify right away who were these bunches of friends who somehow spent some of their precious time writing epistles for me! I was eager to jump from one letter to the other as my mind rushes to the moments when I received them and associate the stories to the shared encounter I had with these fellas. So I had this red letter during college – in our major class wherein every classmate is entitled to comment about your personality both positive and negative; a comment about my hair back then – – – made me crack! :), also humbling remarks about my hosting skills and friendship bond were the highlights! Few precious friends who said that we are apart now but we will never be separated from the heart. A hosting partner who said sorry for missing one event and told me that he’s disappointed because I seem to make revenge (during another show)… Hehehe when you read this for sure you will know it’s you! (Pero wa ko kahinumdom nga ni bawos ko ug “no show”)… It was a fun memory! A close friend (group-mate) whom I really looked up to told me to harness my skills because it is meant for me. And the same person who drifted apart from me or from the group but has kept all her letters: saying that she never changed even if she’s not with us. A friend who shares with me my JCS/G-mik craze!!! There are more, but can’t share them all of course! That indeed handwritten epistles are invaluable! I’m sure you have yours too!